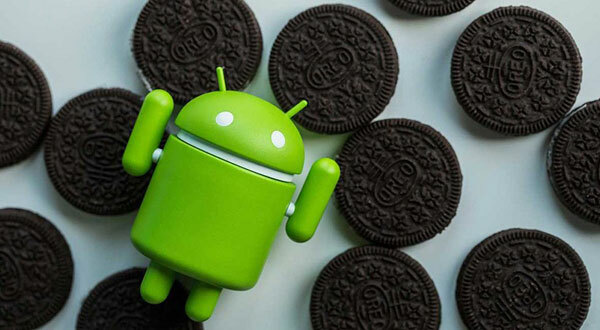 The public version of Android 8.0 – Android Oreo has released on 21 August during the solar eclipse. And immediately, the system is pushed to support some Android devices, including Pixel, Pixel XL, Nexus 6P, Nexus 5X, Pixel C, Nexus Player. If you are not the user of these types of phone, don’t worry, the update will come very soon as well. Samsung has been the market leader in android phone manufacturing and sales globally for quite some time. With Galaxy S series coming a long way since its very first phone Samsung Galaxy S. In April 2017 the company launched its latest flagship, Galaxy S8. Here, we’d like to compare this latest Samsung phone with its previous generation cousin Samsung Galaxy Note 7, and if you’re interested in it, please read this page carefully. Facebook Messenger App is not Working? Let’s Fix It! Facebook is undoubtedly a leading social media platform that is currently being used by billions of people across the world. Apart from the official Facebook application, the online platform’s developers went a step further to design the Facebook Messenger program. Facebook Messenger is a relatively new application that allows all Facebook users to send and receive messages, videos, and images at absolutely no cost. 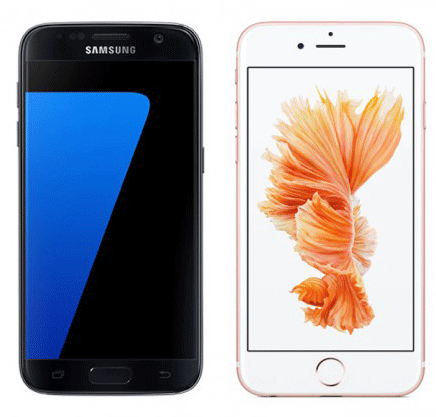 Samsung Galaxy S7 vs iPhone 6S, Which One Will You Choose? Samsung Galaxy S7 was released recently and you can read the article – The Main Features of Samsung Galaxy S7/S7 Edge to know more about the new flagship of Samsung. And you may hesitate between the Samsung Galaxy S7 and iPhone 6S that was released last year. Both are flagship with outstanding hardware and high-quality software and attracted many people’s attention when they were released. Besides, their price range are similar to each other. Since they have so many similarities, you may have no idea about which one you should choose. Here we will access the differences between the two devices. Since the appearance of cloud service, many people transfer files to the cloud storage to stash the data instead of saving the data on hard drive or computer. The cloud storage is welcomed by people because of the large space that could be used to stash files, convenient transferring method that allows you to access to the files in the cloud storage freely and whenever you want as long as the device is connected to the internet. What’s more, the files on the hard drive may be lost if the device is broken or dead. But the files in the cloud storage can be safe for a lifetime. How long will your Android phone responce to you when you tap on the power button to turn on your Android phone? Of course the shorter the time is, the better it will be. Although Android phones appeal to a great number of costomers and had the top sales volumn, many Android phones users may met the problem of low boot time. The longer you have used the smart phone, the longer it will cost to turn on the device. Actually the speed of startup reflects the performance of mobile phones partly, which will have influence on user experience. So in order to improve the use experience as well as the Android performance, we will provide you several tips to speed up your startup and recommend you powerful software to manage the startup. Can Android Studio Take the Place of Eclipse? According to Wikipedia, the Android Studio is an integrated development environment (IDE) for developing for the Android platform. Google released Android Studio at the Google I/O conference on May 16, 2013. And Android Studio attracted many people as soon as it was announced by the Product Manager of Google. After the Google I/O conference, the new IDE has caused extensive concern and the new features of Android Studio also have drawn great attention. Many people wonder whether the Android Studio will take the place of Eclipse. Big Battle: Samsung Galaxy S10 VS iPhone XS, Which is Better? Copyright © 2019 MobiKin. ALL RIGHTS RESERVED.